This isn’t one of the more regular stops on the bucket list of places to visit, and that in itself makes it appealing to a certain kind of traveller. It’s off the beaten track almost by definition with only Luang Prabang being a regular stop on itineraries through south east Asia. However there is far more to the country than that and it deserves greater attention. It’s not over developed, just the opposite and therefore both eco tourism and simple exploration can provide its own joys. Beginning in Luang Prabang itself one of the sights many visitors choose to make a highlight is the giving of alms to the monks. It does require getting up early and having previously written about the resemblance to paparazzi of the tourists scrambling for photographs, on this occasion it was more low key. Having said that, it was low season, during the peak it will likely be very different. This leaves me uncomfortable; a tradition reduced to being a spectator sport. Nevertheless, for the western visitor unused to such sites it is unquestionably an experience. The collision of tourism and real life always causes such questions. In the town itself there and so many temples to visit it can leave the visitor bewildered but the detail and elegance of them still takes the breath away. The best rule is to limit the number you take in and then appreciate them properly. Temple fatigue can ruin the experience and lead to boredom – that is to be avoided at all costs. Still, it’s unquestionably a major part of the experience and provides the lifelong memories of a very special place. The national museum is also a must visit – the former palace of the king, it has been kept in much the original condition, as well as having artifacts from centuries of history dotted throughout. It provides a fascinating insight into Lao history, up to the modern age. But be aware that photography isn’t permitted inside so the only things to take are the memories. 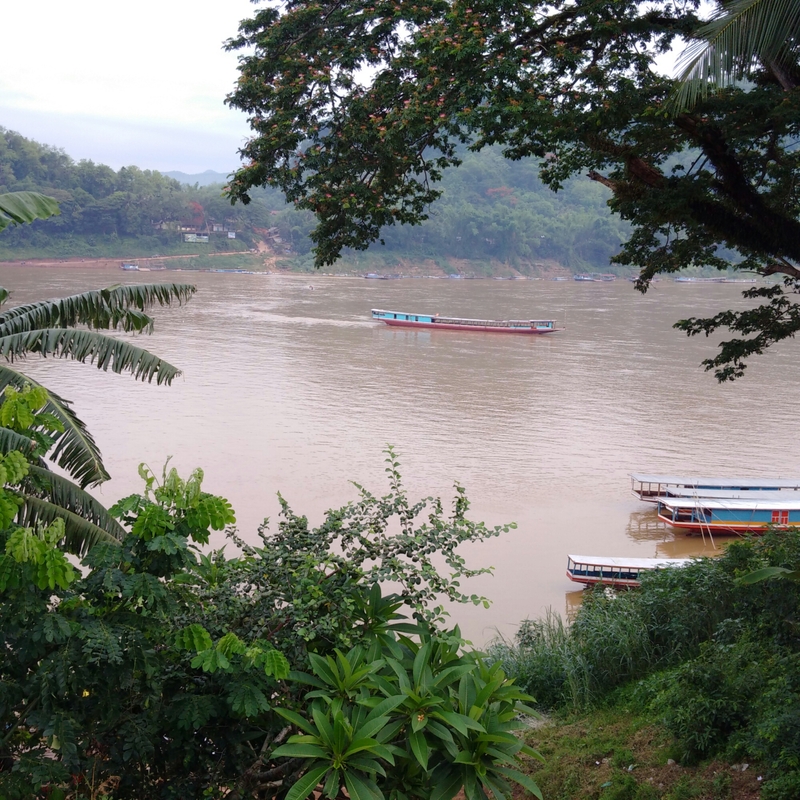 If all that gets too much, the Mekong flows next to the town, and provides a dramatic backdrop. Many of the hotels in the key heritage zone back on to the rivers so taking time over a coffee there is a key part of the experience. For the westerner, this evocative idea does tend to come up against the reality of searing heat and humidity though. Something true of so much of the region. 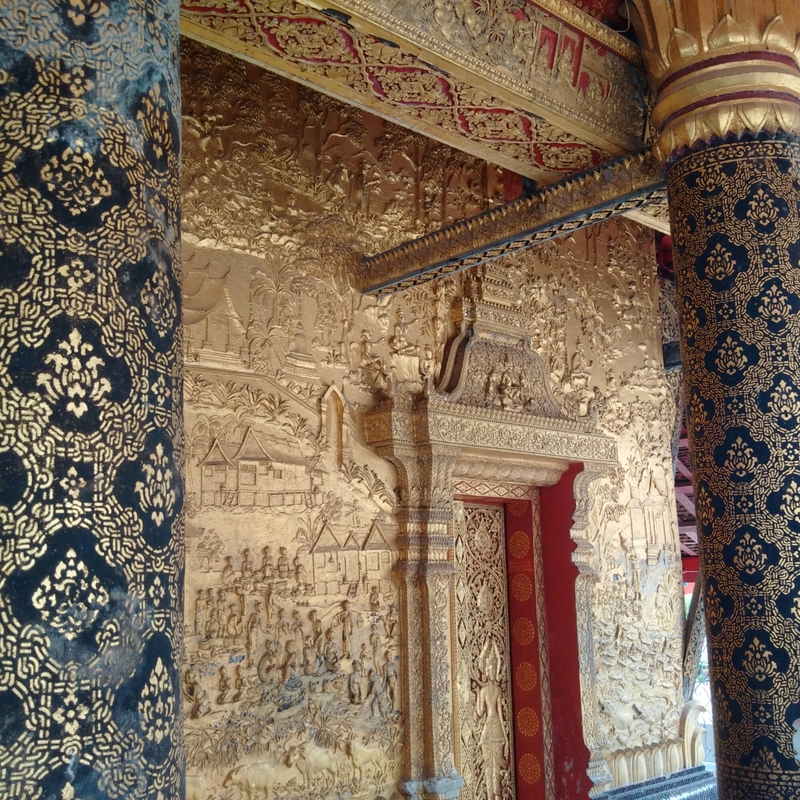 If Luang Prabang is a tourist trap, heading out to the east of the country is anything but. And that’s where we go next. 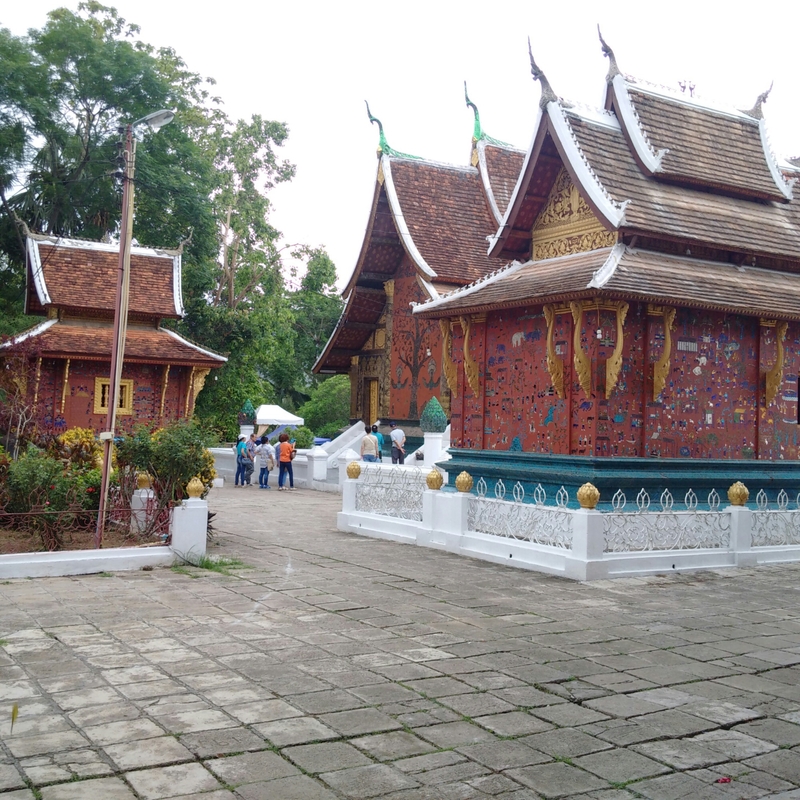 After a brief stopover in Bangkok, the first port of call in Laos is the World Heritage Site of Luang Prabang. It’s notable especially for the number of monasteries and the architecture transpiring from that. It’s probably the number one Laos destination for the tourist, indeed all too often it’s a case of arriving here for a couple of days and then flying out again. Over the next week or so I’ll be explaining more of what the country has to offer as I go through more of it. 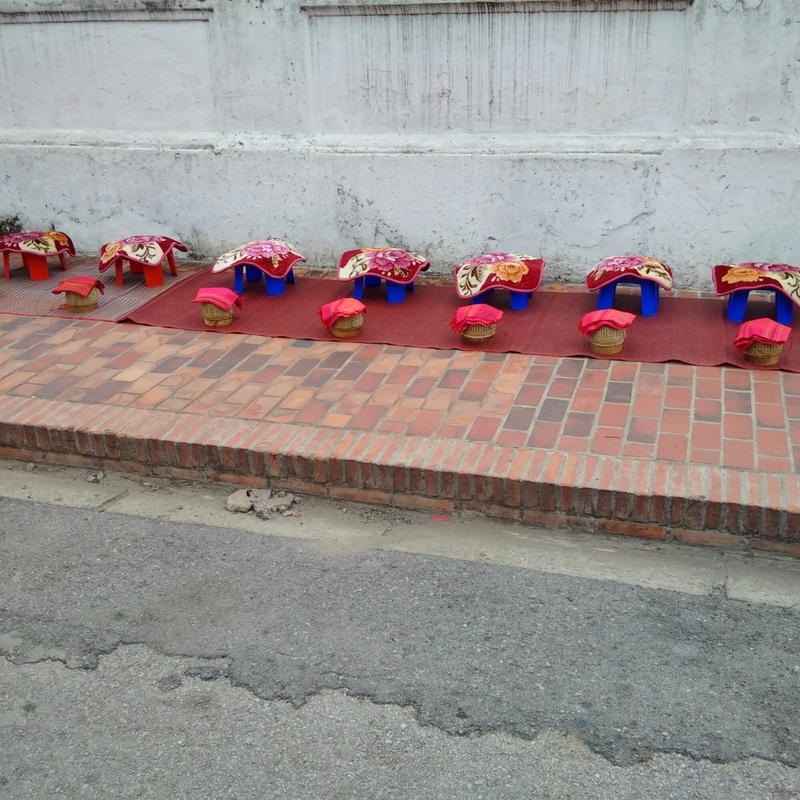 Luang Prabang isn’t a big place by any means, only around 60,000 people, but those numbers swell massively during the peak season and therein lies on of the issues. It’s a sensitive place in that excessive tourism can damage what has made it so popular in the first place, which is why coming here out of season is not a bad idea at all. Getting into the restaurants, walking through the night market, seeing the surrounding sights – it’s all easier and more rewarding slightly out of season. That doesn’t mean you shouldn’t come in the peak of course, but it’s worth considering outside of those times because this isn’t a destination to lounge around the pool anyway. It’s somewhere to explore. Indeed managing the growth in tourism has been one of the challenges faced by the town and fortunately its World Heritage status limits development, especially in the centre. The hotel growth is mostly out of town. Tomorrow will be about exploring properly, and more will be posted then.